Alcohol abuse is the third leading lifestyle-related cause of death in the United States. With over 17.5 million adults suffering from alcohol abuse or addiction, it has become a nationwide crisis. Those who are addicted to alcohol often find their issues lead to loss of careers and relationships, estrangement from children, and emotional issues like anxiety and depression. They also increase their chances of developing diseases like cirrhosis, cancer, and stroke as well as dementia and Alzheimer’s. Unfortunately, many never seek out treatment because they are in denial or because they think they can recover on their own. However, true alcohol addiction is a condition that cannot be handled individually. If you have a problem with alcohol, you must seek help from a medical professional who has experience treating the disease. Those who offer alcohol addiction treatment, such as the trained staff at Mango Clinic, can evaluate you to determine the level of your addiction and then develop a treatment plan for you that utilizes therapy, prescription medications, or a combination of the two treatments. Alcoholism Treatment in Miami. Cognitive Behavioral Therapy: Those who abuse alcohol often have destructive thought patterns that lead to their addiction. Cognitive Behavioral Therapy, or CBT, can help them change those thought patterns and make better decisions regarding their behavior. 12-Step Programs: Group therapy programs such as Alcoholics Anonymous can be very helpful for those who need support both at the beginning of their recovery and throughout their lives as they strive to stay sober. Trauma Therapy: Many individuals who struggle with alcohol dependence do so because they are hiding from a past trauma they have never been able to properly deal with. Trauma therapy can help them understand and let go of the trauma so they no longer have to distract from it with unhealthy behaviors such as alcohol abuse. 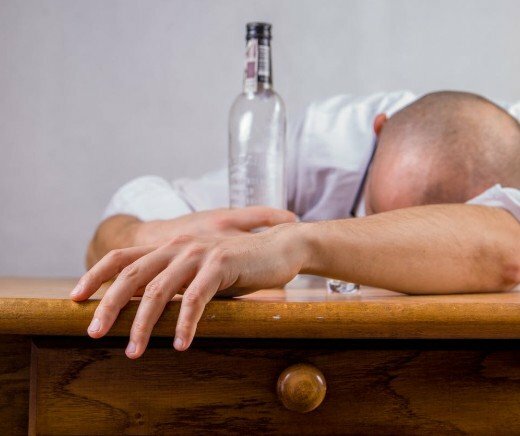 Antabuse (disulfiram): Antabuse, one of the first medications approved to treat alcohol abuse, causes a severe negative reaction when those taking it to imbibe alcohol. This deterrent can be very useful in the beginning stages of recovery when individuals must be conditioned to not crave a drink. Naltrexone (Revia or Depade): Depade and Revia are long-term injectable forms of naltrexone, also known as Vivitrol. These drugs block the pleasurable ‘drunk’ feelings that come from alcohol and can also be used for those who are addicted to opioids. Campral (acamprosate): The physical withdrawal symptoms that addicts experience during early recovery can be very difficult to deal with. A newer drug, Campral, can help reduce both the emotional and physical symptoms of withdrawal to ease the path for those in recovery. If you have a problem abusing alcohol or know you are an addict, there is no reason to be ashamed. You do not have to handle this on your own. By getting professional help from trained counselors and physicians at facilities such as Mango Clinic, you can start a customized treatment plan that includes either therapy, prescription medications, or both. With this support, you can break the chains of addiction and start on a journey to a healthier, more successful life. previousIs it Difficult to Get an Emotional Support Animal Letter? nextCan an Adderall Prescription Help Me?